Today, safety, reliability, sustainability, environment and cost are all very heavily weighted considerations and thus the source of standards in the design and building of ships, offshore facilities and oil platforms. Nordmann Engineering delivers on every account with steam humidification solutions that are technically mature and of high quality. These products support shipbuilders’ sustained viability, which is possibly only with the builders’ unwavering dependability and, of course, their products’ economic performance and affordable cost. 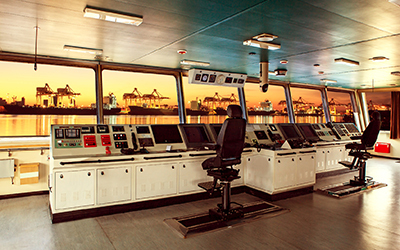 Besides offering control software specifically designed for maritime applications with necessary settings’ potential, Nordmann provides a host of very attractive features that take into consideration the particular needs of this industry, beginning with remote control box installation, which saves space where it’s at a premium, global sales network, and faster and more efficient customer service. And if our standard products don’t meet your specific requirements, we can modify them or build you a system that does. Speak to us.